Aberrant was a tabletop RPG published by White Wolf. It was part of a larger universe with three games retracing the emergence of superhuman on Earth, from the early XXth century to the far future. Aberrant itself is set 10 years into the future. 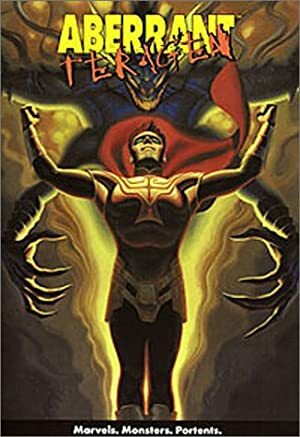 The setting featured superhuman in a realistic manner, without Golden Age and Silver Age comic book conventions. Super-powers had an unified source and significant costs, and the factions were based on credible politics and the reaction of ordinary people to superhumans. Base Of Operations: An Unnamed Island in the South Pacific. Eyes: Brown Hair: Dirty Blond. Exceedingly potent telekinesis. He can levitate himself and hurl objects at his opponents or deflect attacks aimed at him. Born blind, his eruption allowed Charlie to “see” for the first time. 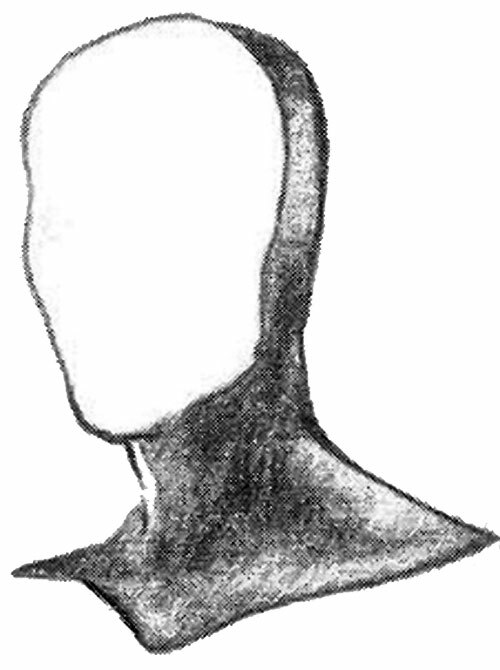 Since he is blind and telepathic, he wears his featureless mask without concern for vision or speech. Epoch is one of the few elites who openly proclaim their ties to Teragen. He is more than happy battling other novas to ensure that only the fittest survive when the One Race takes over. When Epoch takes his mask off, he hunts down and kills those novas he perceives as tarnishing the One Race. Epoch’s status as an elite allows him to cull the weak from the nova gene pool and get paid for it. Though his views unnerve his employers, few can dispute Epoch’s combat prowess. He is single-handedly responsible for over two dozens nova kills, placing him second only to Totentanz in nova body count. Consequently, his services are wanted all over the globe. There is more to Epoch than meets the eye, however. He has used his wealth to buy an island in the South Pacific, which he uses as a sanctuary for various social rejects and outcasts he has abducted. So long as they serve him and show proper deference, he is lenient, in the manner of a pet owner. For most of them, it’s better than the alternative. Charlie resented being born blind. His parents sent him to the best schools they could afford, but even there he did not fit in. Unable to see, Charlie developed a morbid fascination, living voyeuristically by reading the few exploits of serial killers and the insane that were available in Braille. Charlie erupted in 2004, after a car accident left his father dead. Charlie barely escaped using his new powers. After training at the Manhattan Rashoud facility, Epoch (as he started calling himself) became an Elite. He knew no other way to vent his anger until Divis Mal issued the Null Manifesto. Along with Geryon and Leviathan, Epoch makes up the core of the terrorist faction of Teragen known as Nova Vigilance. A young man in his early 30s, wearing a black costume with a blank white mask that covers his entire face. Remove the Aberrant world history and nova/baseline human tension and he can be transplanted in to the DC Universe as-is. He has the feel of a mid-late 90’s villain for Superboy or any other 2nd string (or lower) hero (Steel, Atom, Hawkman, etc.). Sonar is Contingent on Telepathy – it represents Epoch’s use of “ESP” to counteract his blindness. Expansive Headquarters, Lightning Reflexes, Sharp Eye. MIA (“culling the weak” from the Nova population), CPR (Blind). By Andrew Lee ; History and Powers and Abilities sections from Aberrant: Teragen. Source of Character: Based on character from Aberrant (White Wolf Games). Helper(s): Gareth Lewis (for Contingent Power limitation), David Johnston.